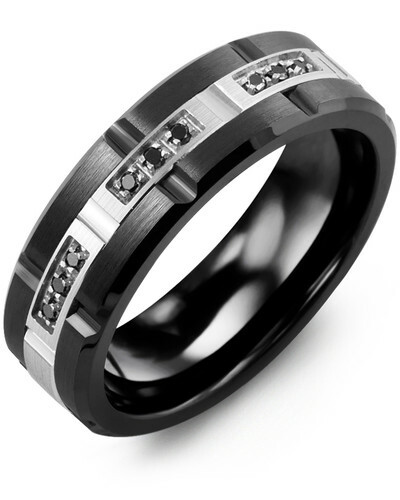 MID - Trio Black Diamond Grooved Wedding Band A monochromatic masterwork of black diamonds and alternative precious metals, this Trio Black Diamond Grooved Wedding Band is chic, sophisticated and perpetually stylish. 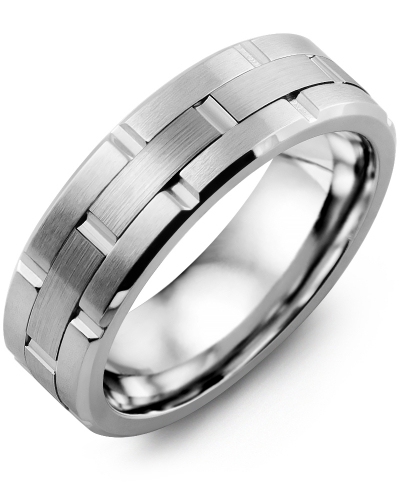 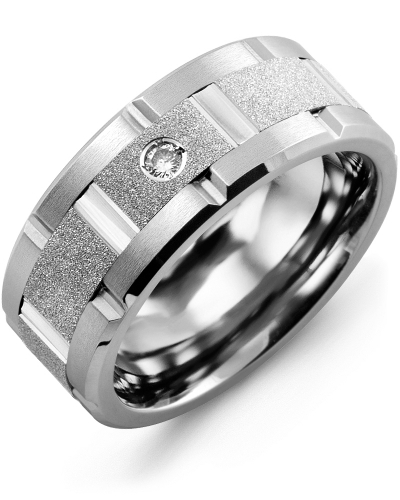 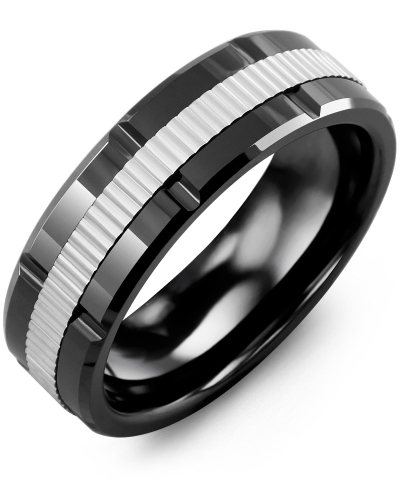 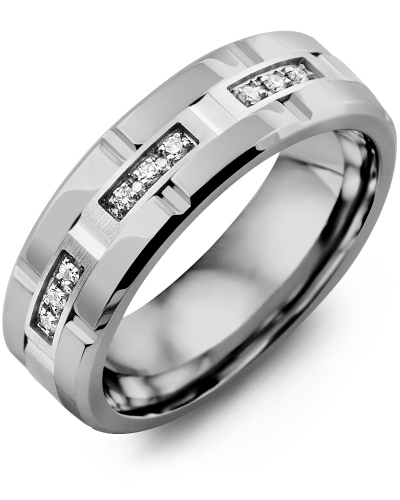 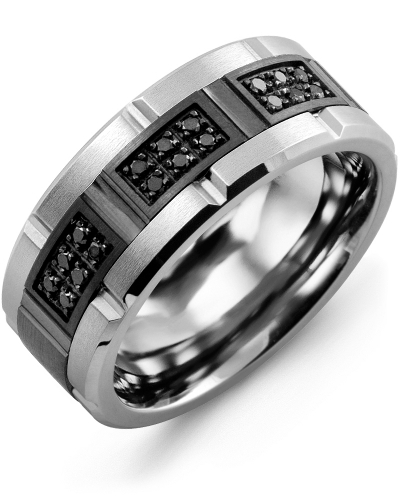 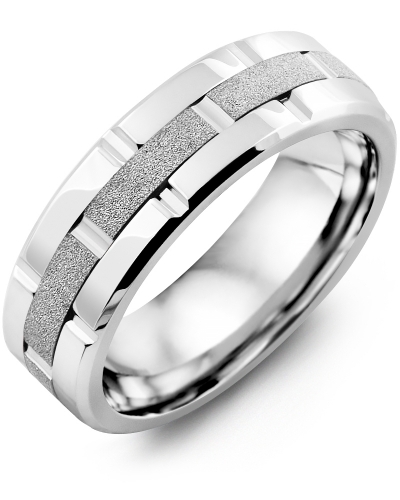 Available as a tungsten ring, a cobalt ring or a ceramic ring, the 7mm band can be personalised with a black gold inlay in 10kt, 14kt or 18kt options, and it is offered with your choice of 3 or 9 diamonds. To commemorate your special day, engrave the inside of the ring. A monochromatic masterwork of black diamonds and alternative precious metals, this Trio Black Diamond Grooved Wedding Band is chic, sophisticated and perpetually stylish. 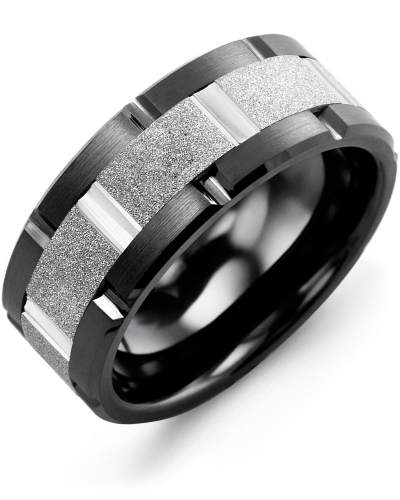 Available as a tungsten ring, a cobalt ring or a ceramic ring, the 7mm band can be personalised with a black gold inlay in 10kt, 14kt or 18kt options, and it is offered with your choice of 3 or 9 diamonds. To commemorate your special day, engrave the inside of the ring. 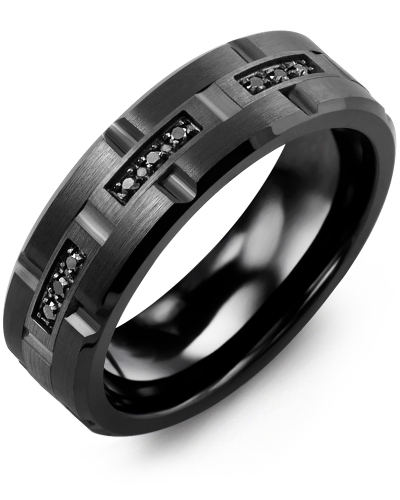 Overall the ring quality was amazing and customer service was helpful. 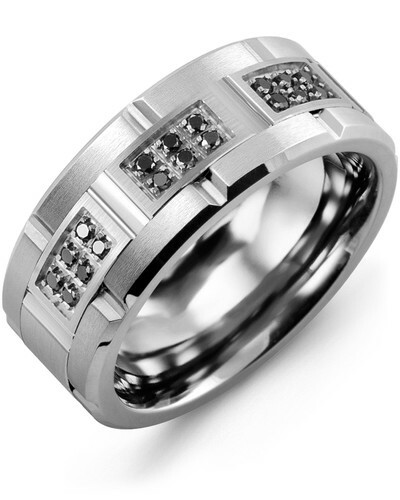 There was a delay because of website glitches, but they resolved the issue quickly. 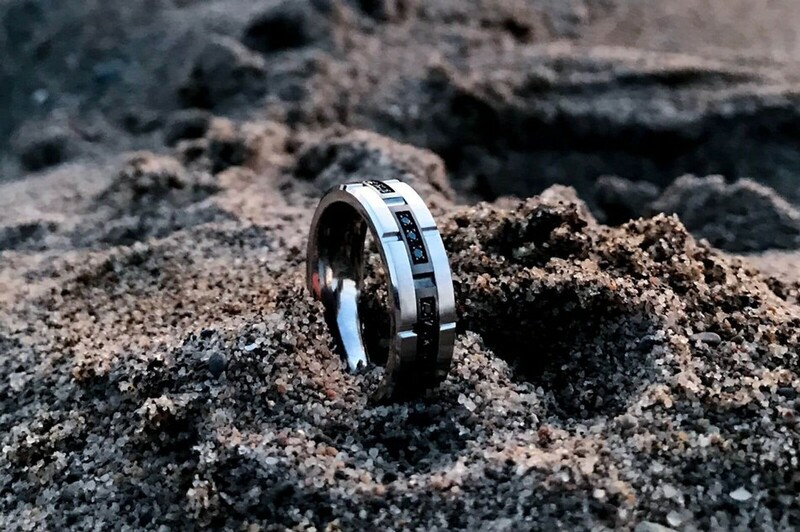 The ring itself is beautiful and looks just like the picture! 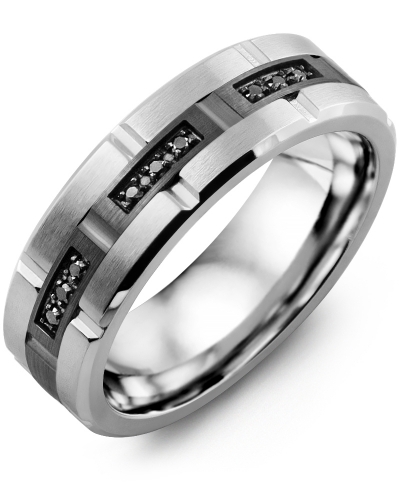 Totally loved it!